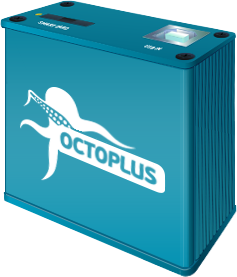 Octoplus Octopus Box LG v 2.2.0 is out! We have added world’s first support for removal of McAfee’s Kill Switch, LG Zero, K10! – D855, D855AR, D855K, D855P, D855TR, D855V. – H650 – Read/Reset Security, Write Security Backup, Read Full Flash (Dump NAND), Reset FRP/Screen Lock (thanks to mr. beto251172). – K420N Read/Reset Security, Write Security Backup, Read Full Flash (Dump NAND). – H790, H790T, H791, H791F. into “Qualcomm-Mode”: press and hold “Vol+” button, connect a phone directly to PC via Micro USB cable. Check PC Device Manager, a new device should appear “Qualcomm HS-USB QDLoader 9008” or “Unknown Device” if you hadn’t installed the driver yet. Drivers are available in Installation Folder. Release testpoint and press “Deactivate Kill Switch” button.
? All supported operations are described in details in Software manual (“Cable & Manual” button in Software).